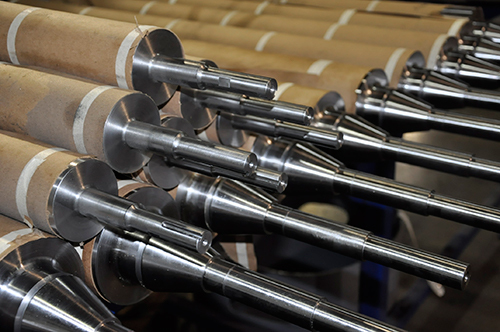 Each roller is produced in house by our expert engineers to meet or exceed exacting OEM specifications and perfectly match your specific needs. When you choose ARC for your roller or sleeve fabrication needs, you benefit from access to all roller types and sizes in a variety of materials. Each roller is produced in house by our engineers to meet exacting OEM specifications and perfectly match your unique requirements. We offer you guaranteed performance through full in-house CNC and horizontal lathe capabilities. We grind all rollers for best tolerances and TIR, and coat them with a variety of materials to suit your specific application.